Ok… here’s another person who took the challenge from last week. It’s great to see the level of creativity ramping up on this. This particular in-store Jagofferor chose to use 2 types of media to create their in-store sign. And, even better, they took a pic of someone walking by looking … I mean.. GAWKING at it. Of course, we didn’t have the permission from the gawker to use their photo on the internet. So, instead, we substituted a cartoon character making the same exact face as the person in the pic did! This pic certainly gets high points because it appears to be on an aisle end cap! I mean.. we dancin’ in the moonlight on this one baby! Thanks to Leslie Gray for the pic! 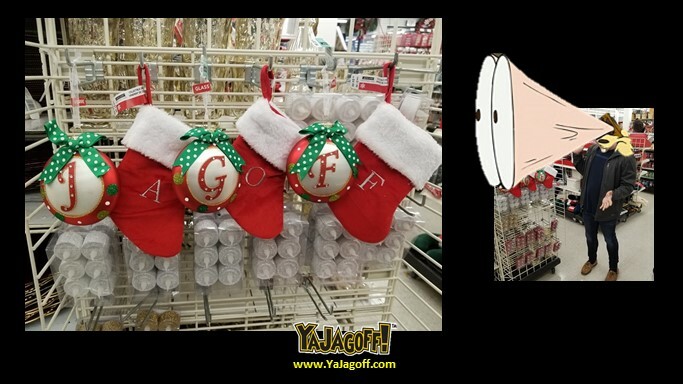 Next articleBlack Friday Jagoffery.. Go Get ’em! The Trash Can is WHERE?